When it comes to buying a 150cc Scooter or 150cc Moped to trust with your life; WHO you buy from is just as important as WHAT you’re buying! Please CLICK HERE to understand why. Meet the 150cc mopeds and 150cc scooters for sale at Joy Ride Motors! They’re fun, they’re hip, and best of all, they’re cost effective. 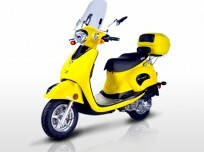 Now, thanks to the gas-sipping thriftiness of our 150cc scooters combined with the outstanding pricing, they’re the most economical – and exciting – ways to get around town. The old saying goes: the journey is half the fun. Well, we think that on our 150cc scooters the journey is ALL the fun! 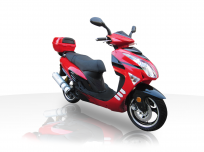 Our most popular engine model, the 150cc can reach top speeds of up to 60 MPH, and gets more than 80 miles per gallon of gas. 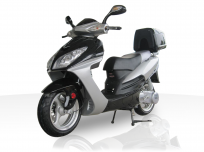 In our 150cc scooter catalog below, you’ll find our most popular sellers from; BMS Scooters, Roketa Scooters, and Ice Bear Scooters, which all have a proven track record for safety, quality and performance. We ‘cherry pick’ the very best models from all our vendors’ product lines, which come fully assembled in most cases. 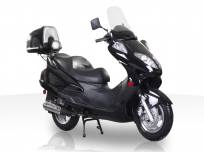 Our 150cc scooters and 150cc mopeds for sale are not only available at some of the lowest prices online (you can see a price comparison on each scooter’s product page), but we offer free shipping and handling on every order. With Joy Ride Motors the price you see is the price you pay – there are never any hidden costs or fees that will pop up on the very last page of checkout (don’t you hate that?). Use our quick and easy filter system to see which of our scooters will fit your needs. 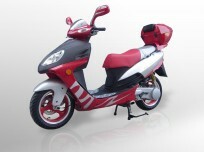 In addition to our 150cc scooters and mopeds, we also carry 50cc scooters and mopeds, 125cc scooters and mopeds, and 300cc scooters and mopeds. Remember, the results you get are a recommendation only, and you can call us at anytime to see which one works for you (or even see if you’d prefer one of our motorcycles). Contact one of our friendly and well-informed staff members now toll-free at 877-300-8707 and let us know what it will take to get you on one of our incredible 150cc mopeds or scooters today! 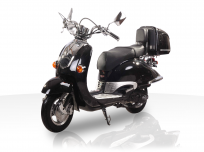 We would love to take the time to go over all your scooter or bike options and get you onto the scooter of your dreams.